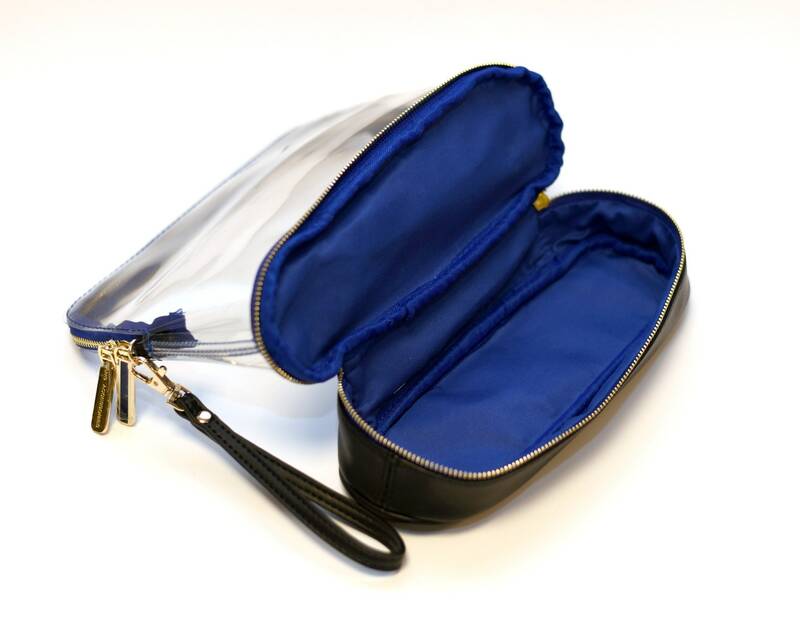 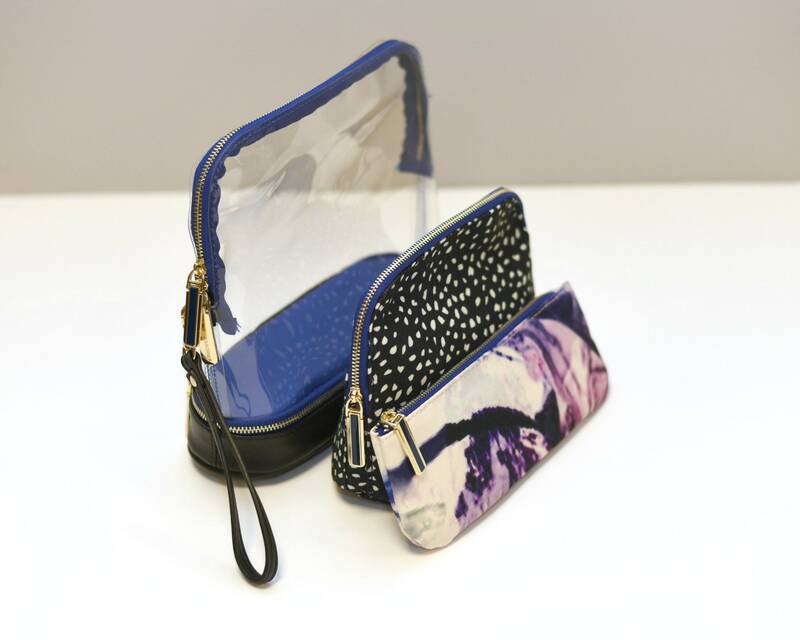 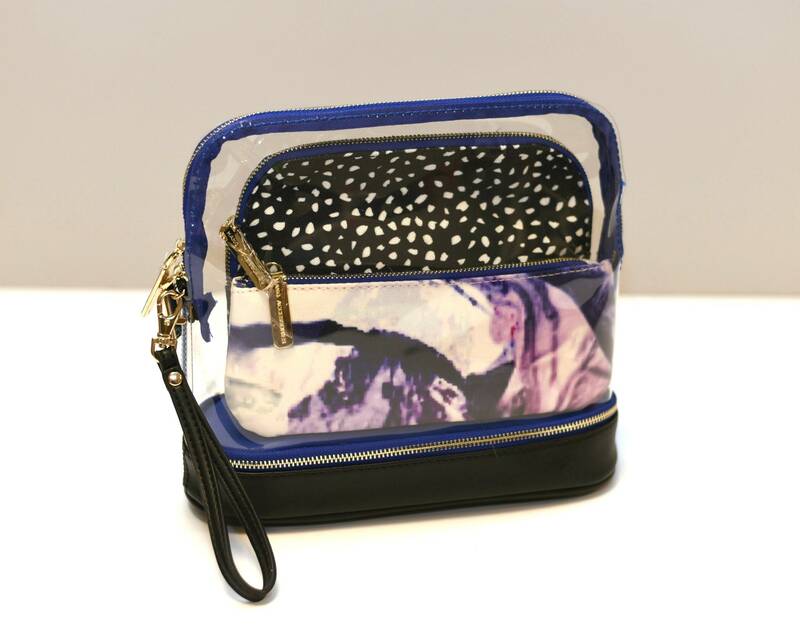 Millie 3-in-1 Makeup Bag is a travel favorite and makeup organizing essential. 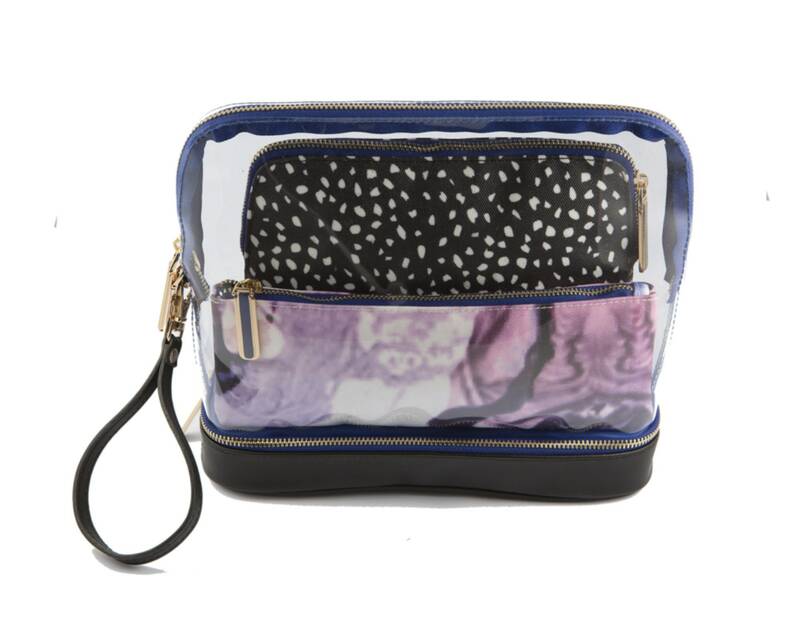 Featuring a clear PVC and black faux leather Biggy bag, organic dot Middy bag, and marble Itty bag combined and detachable for the perfect organizing travel set. 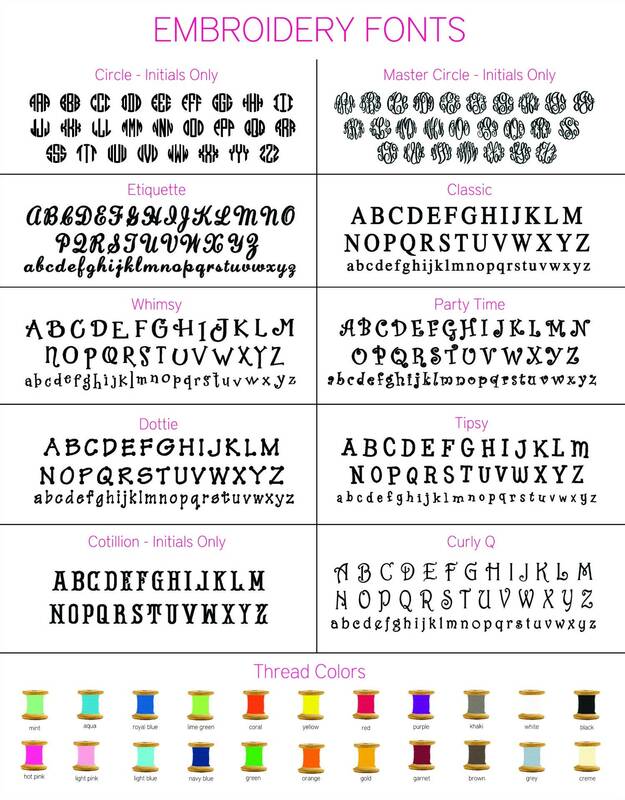 Monogram is included on the large cloth bag.